There is special significance this year in my family as our son is in his 3rd week of Marine Boot Camp. We are humbled by his willingness to spend 5 years defending our freedom and know that he is now homesick, physically and mentally exhausted, and probably doubting his decision. Many people don’t know that I worked as a civilian at Ft Sheridan, IL’s Army base during all my college breaks. I saw first-hand the many people who sacrifice family time, holidays, and sleep to serve other. 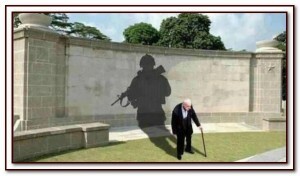 No matter where you live, pause and honor those you know or don’t know who are willing to sacrifice for your freedoms. Thank you current and former military! !